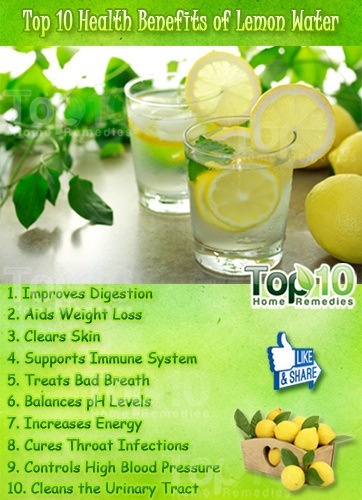 Lemon is one of the best alkalizing foods for the body as it contains both citric and ascorbic acid that help maintain the pH levels. A good pH level is essential as too much acidity in the body can be inflammatory. Drinking lemon water regularly on an empty stomach in the morning helps remove overall acidity in the body, including uric acid in the joints that is one of the primary causes of pain and inflammation.